Vintage Beach Shack prides itself in its Australian-made collections of cushions, lamp shades, occasional chairs , ottomans ,door snakes and draft stoppers. Their products are made with gorgeous limited edition fabrics imported from across the globe. In addition to this they also screen print their own linen. All products are handmade on the sunshine coast. 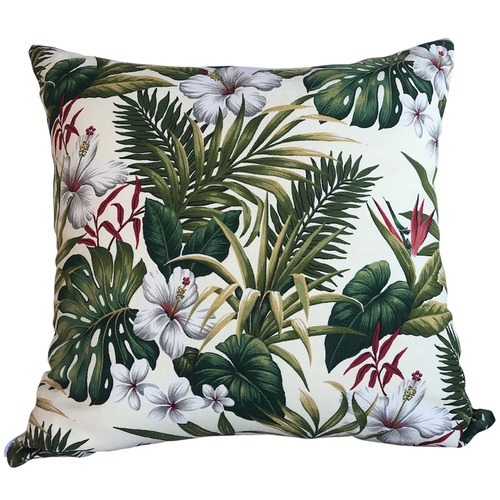 When you buy a My Island Home Cushion online from Temple & Webster in Australia, we make it as easy as possible for you to find out when your product will be delivered to your home in Melbourne, Sydney or any major city. You can check on a delivery estimate for the Vintage Beach Shack Part #: CUS-MYISLANDHOME-40 / 50 / 60 here. If you have any questions about your purchase or any other Outdoor Cushions product for sale our customer service representatives are available to help.Whether you just want to buy a My Island Home Cushion or shop for your entire home, Temple & Webster has a zillion things home.